Long live the king". You can practically picture Elvis stepping on stage in Vegas, sparkling in the spotlight when you catch a glimmer of this new collection. 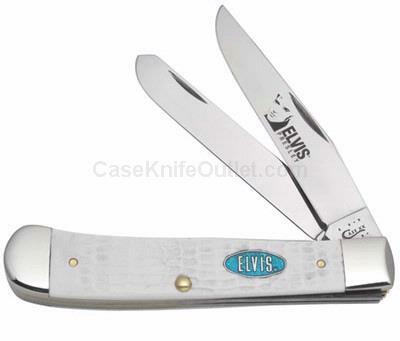 Bright white synthetic handles are adorned with a glittery turquoise shield and stunning Elvis imagery on the blade. Viva Elvis. Made in the USA.